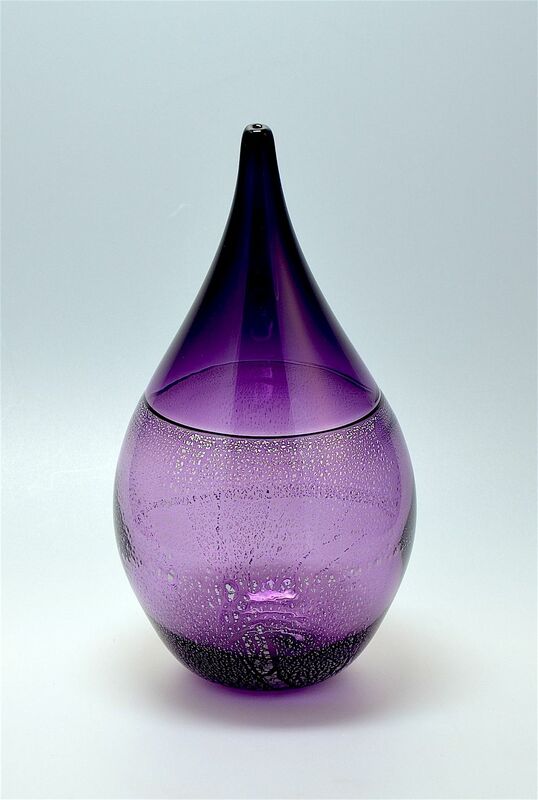 This lovely vase was made by Michael Hunter for Twists Glass in 2016. The bottom section is purple glass randomly shot through with silver leaf. It has a conical purple incalmo top. The base is scratch signed "M Hunter Twists 16" and has the Twists Glass studio label. I just love this shape - it is so elegant and tactile.